I thought this picture was a little fuzzy after I cropped it and took out the telephone poles, flag and anything that brought the picture to the future. Let me know what you think, and whether this mono looks flat. Ann I love this! 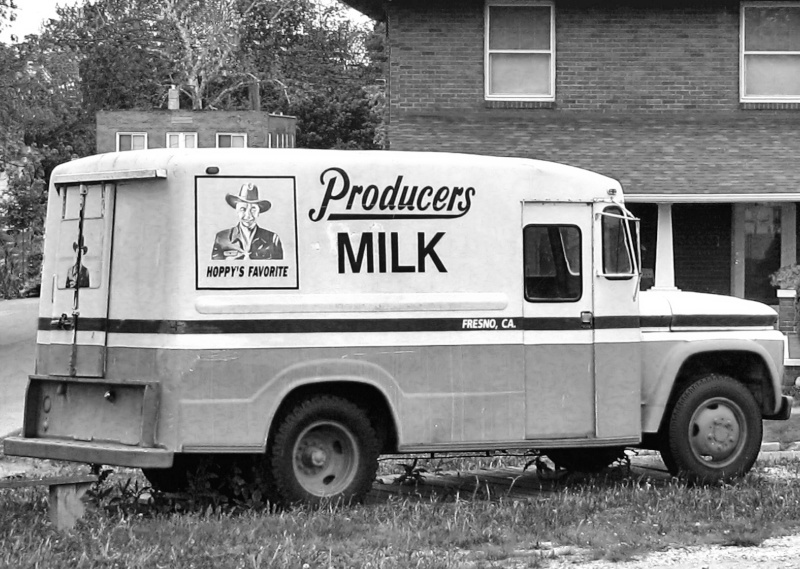 My husband had a milk round when t he kids were little, in the late '60's early 70's. If you think it is a little flat, have you tried checking the levels. Sometimes you need to do this again after any alterations. Another way is go to Curves, and watch the pic as you go and make a slight 'S' curve by upping the light end and darkening the dark end. Just a fraction makes a huge difference. Oh Ann this is absolutely priceless! How lucky you are to have it. What a nice photo.